Hotel Mayorazgo?s elegant rooms have a flat-screen TV, safe and minibar. 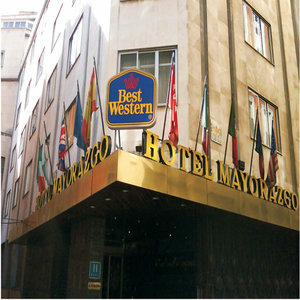 The hotel is next to Madrid?s Gran Via, a short walk from Plaza EspaÃ±a and the Royal Palace. Plaza de EspaÃ±a and Santo Domingo Metro Stations are both 150 metres away. They provide easy access to the Art Triangle, the Retiro Park and Madrid Barajas Airport. The Mayorazgo has a Mediterranean restaurant and a bar, with classic design and a relaxing fountain. There is an elegant piano bar with live music. Each room at the hotel is air-conditioned and spacious. Rooms come with a trouser press and a full private bathroom with a hairdryer.